The Bonyad Civil Development is considered to be one of the main contractors within Iran, where it has developed more than 80 colossal projects estimated to be worth millions including the construction and renewal of existing roads, railways, bridges, tunnels and many more industrial areas. There has also been development of major projects including townships, apartment buildings, offices and commercial buildings. With so much being invested into Iran could this be the next new tourist hotspot in years to come? Activities of the Bonyad Tourism branch include management of recreational areas and sporting centres. The organization is constantly trying attract new tourists and has taken on various projects such as renovation of sixteen hotels presently operating. There are currently millions being invested into the hotel and leisure industry within Iran to try and attract new tourism within the area. Due to its past people may have been put off but there are stunning beaches aswell as ancient historic buildings and plenty more things to visit. 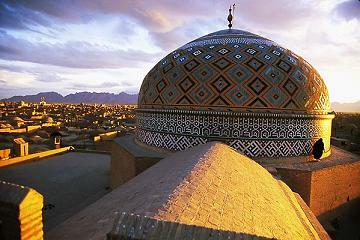 See some of the pictures of Iran below and on the about page.